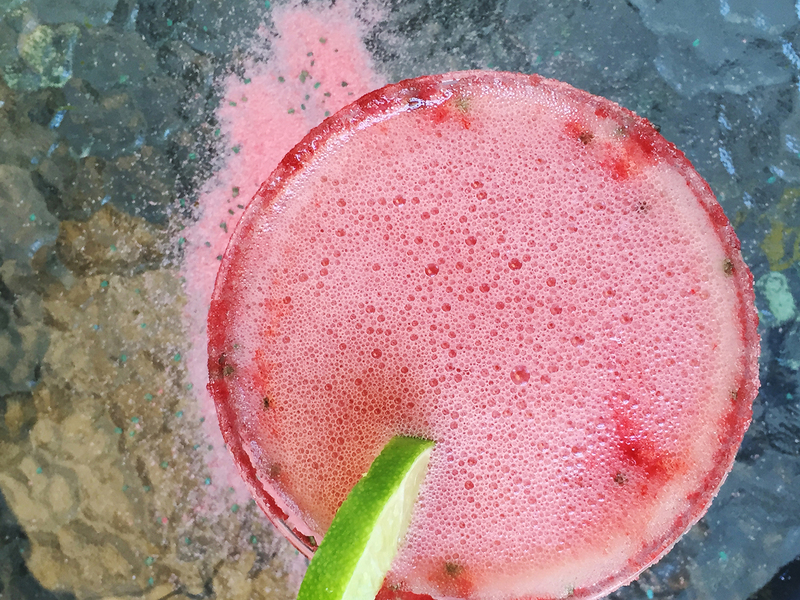 Summer is heating up quickly and as the temperatures rise our interest in hanging out in a stuffy kitchen lowers. 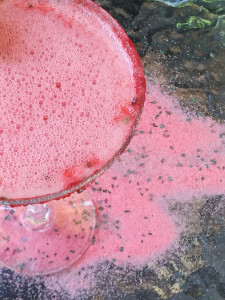 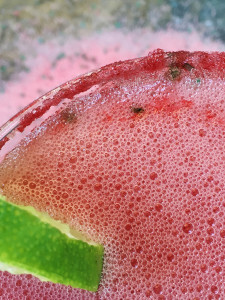 Any drink that can be tossed in a blender and still look satisfyingly fancy is welcome. 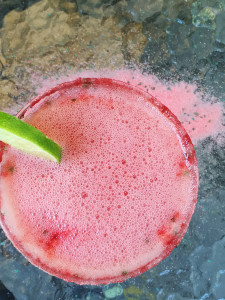 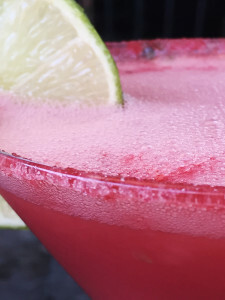 Many people use daiquiris to fit the bill; we suggest the addition of watermelon to this old favorite for an amazingly refreshing summer treat that will help bring your body temperature down. 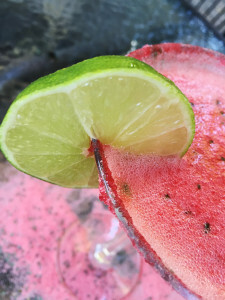 Garnish with rokz Watermelon Sugar and a slice of lime. 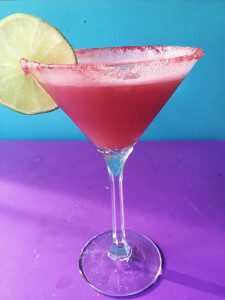 For an extra fun presentation dip half of your lime wedge into the watermelon sugar and sprinkle a pinch of it over the drink.